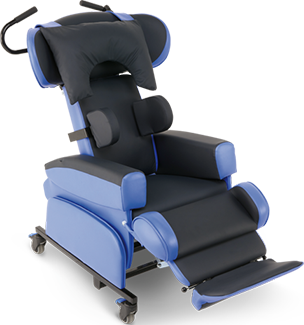 Our posture management seating systems are Class 1 Medical Devices. 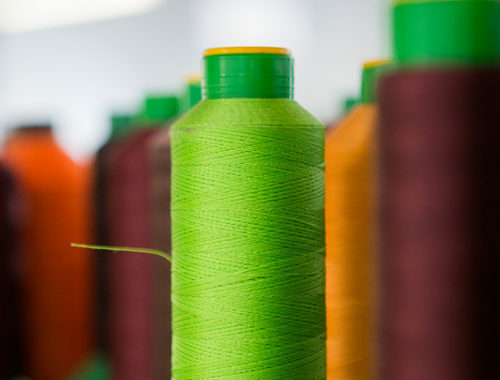 This means that their design, manufacture and use is closely monitored to ensure they meet industry standards for durability and safety. 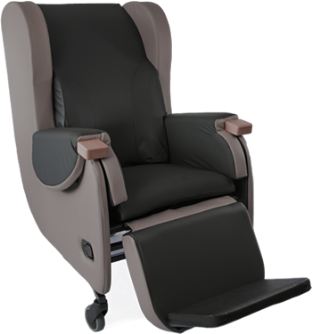 When we develop a new chair, we carry out extensive user trials to ensure it works safely, easily and logically. 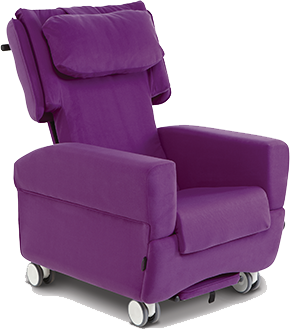 Our chairs are also tested by an internationally recognised test house for strength, stability and durability. The testing starts as soon as the chair is taken out of the box. 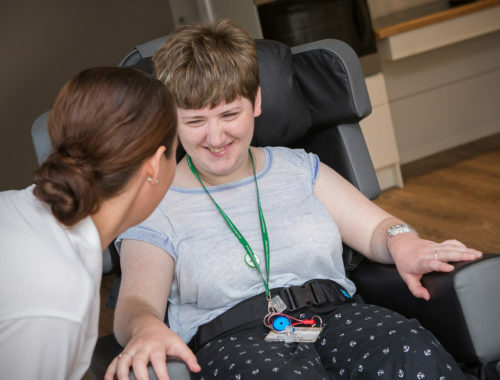 Our User Instructions are assessed to see how well the chair can be set up and used safely. The chair is checked over for pinch points and finger traps to safeguard against injury. This is a three-part process which involves checking the chair for stability, durability and resistance to impact. 1. Stability tests check that the chair will not tip over in day-to-day use. 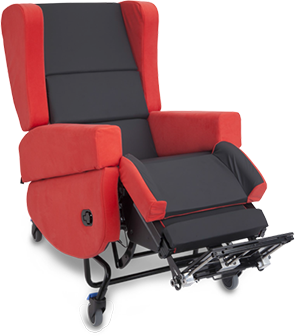 The chair is tested under extreme conditions, such as with the legrest fully elevated and the back fully tilted or reclined before maximum user weight loads are applied. The chair must remain stable throughout these tests. 2. Durability tests replicate years of constant use. 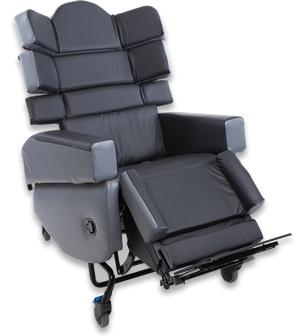 They help to measure what effect fatigue can have on the structure and operation of the chair. 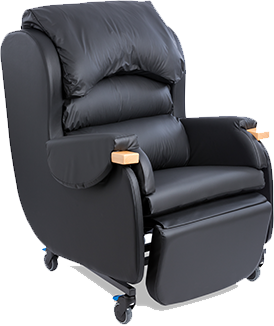 Because specific standards relate to use in different environments, for example high wear areas such as nursing homes, the testing machine applies up to 200,000 maximum user weight loading cycles to the seat and back. 3. Resistance tests focus on the structure of the chair. Each chair is tested for strength, the ability to resist impact and extreme exerted forces to the arms, seat, legrest and back. 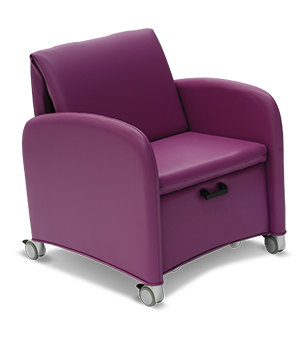 In addition to strength, stability and durability tests, the components and materials used in our chairs are monitored so that they comply with the relevant standards for fire retardancy, biocompatibility and safety requirements for electrical components used in medical devices. 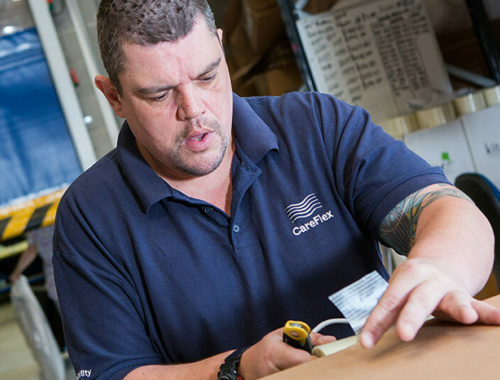 Once our chairs have passed these tests, we can be confident that with the right care and maintenance they will provide years of trouble-free service.